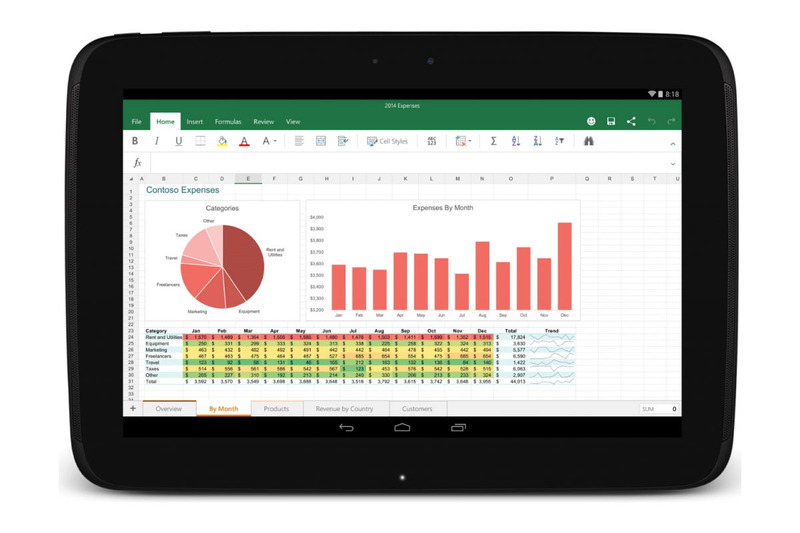 Along with the fun Microsoft Outlook “preview” news from earlier, we wanted to point out Microsoft’s other news of the early hours, that Microsoft Office is out of preview on Android tablets and now available as separate downloads of Word, PowerPoint, and Excel. After months of testing from preview participants, the apps are now ready for mass consumption. The apps are “unmistakably” Office, yet still optimized for Android tablets (no phone support, folks). Microsoft thinks that you will “immediately feel familiar” when using the new apps, with large touch points making it easy for those of you with the fattest of fingers. You can connect external keyboards to help you become more productive, should see existing documents render “beautifully,” and will get prioritized features based on your mobile scenarios. Word documents look beautiful, with text, images, footnotes, tables and charts all nicely formatted. You can review documents by tracking changes and adding comments, and then easily share your work. Excel spreadsheets bring raw data to life with support for formulas, charts, tables, PivotTables, sorting, filtering and comments. PowerPoint presentations look stunning when your ideas are expressed with full support for rich formatting and embedded video, transitions and animations. There’s even a handy format painter tool, built especially for touch. In the end, this is still the Office that you already know. Microsoft has done a lovely job designing these new apps (Outlook in particular), so if you are an Office user, be sure to grab all of these new apps – assuming you have an Android tablet.